Ever wonder why we face adversity? Life seems to be going along just fine, and then out of the blue something happens to knock the wind out of you. 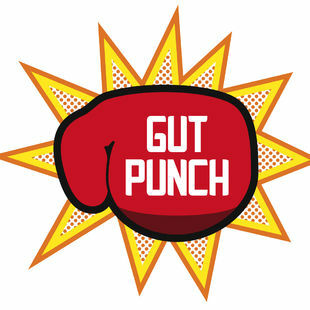 You’re left feeling like you’ve been punched in the gut. You’re sure you’re going to get that promotion, but then you get looked over. You’re sure that you’re just about to get your business off the ground, and then an unexpected expense sets you back. You’re flying high after a recent achievement and then out of nowhere a jerk decides to make an offhanded criticism or puts you down in front of others. I often wonder why this happens. And truth be told, I haven’t completely sorted out why. Usually when you are up to something big or meaningful, especially professionally, adversity comes on strong. If you feel compelled toward a project or venture and start to face big-time resistance, chances are that you are headed in the right direction. Most people quit when they face adversity. This means that there’s not much competition on the other side of adversity. So for people who persevere, people like you, adversity is good news. It makes your success that much more likely. So what do you do when life punches you in the gut? When for no good reason a jerk tries to ruin your day or sabotage your plans? When the universe seems to be conspiring against you? Focus on what you can control. You can’t control how other people act. What they say and what they do. You can though control how you respond. No one can take your happiness or your peace of mind, unless you let them. Surprise them with kindness. Return a negative attitude with a smile. Return criticism with a kind word. This shows a jerk that he cannot ruin your day, and will either cause him to ease up or infuriate him – either way you win . If your adversity is purely circumstantial and there’s no jerk in your path, then try gratitude. As you face a difficult circumstance, focus on one thing that you are truly grateful for and celebrate that. Just as a jerk doesn’t have to ruin your day, neither does a messed up situation. Take your next step. Don’t fixate on someone else’s actions or a crappy situation. You’ve got big plans, important work to do, and a limited amount of mental energy to use. The best way to keep your mind from fixating on a negative situation is to use that mental stimulus to take action on an important project or task you’ve been waiting to get to. Question: What do you do when a jerk tries to ruin your day? How do you naturally respond to adversity? Leave a comment.